The kind of idiot short-sighted developer in Microsoft, who came up with the idea of smart USB/SD cards reading has probably never owned a digital camera. Or never thought of getting one. Or never thought period. Nothing ever has come out good after using this functionality – I have already had to reformat two SD cards (including one right in the middle of Florence which spoiled otherwise jolly supper) and just screwed up third one. 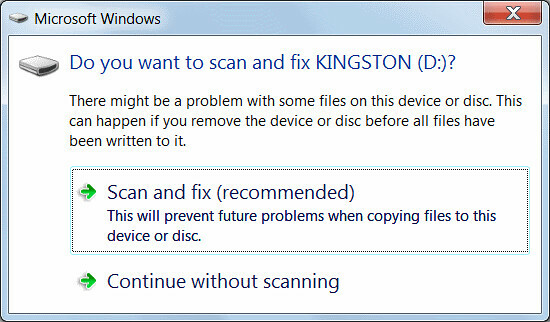 Thank god, the Microsoft oversmarts haven’t decided to “help” me with auto-reformatting – it’s only logical.